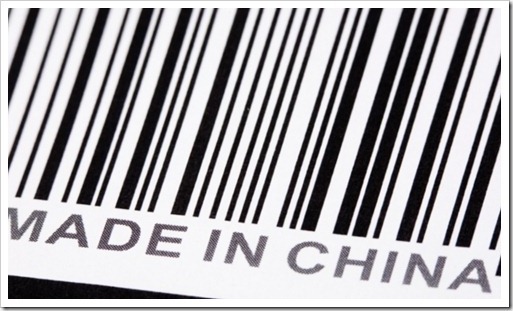 More often than not we see a ‘made in china’ tag on products. And more often than not, these products are much cheaper compared to their competition manufactured in other countries. We usually don’t think much about it, but have you thought about how come “Made in China” products are so cheap? And why only China and no other countries are able to replicate it? Chinese government promotes cottage industries with tax breaks and incentives. These cottage industries manufacture stuff like toys to motherboards. Quality control is a myth and so is copyright. Brand names, holograms and ‘QC OK’ are mere stickers. The people make money, consumers get what they want (i.e. cheap products) but the real loser is the company whose product has been replicated / imitated. This is the main reason why we see so many ‘made in china’ tag on many branded products as well. Most Chinese companies have 2 manufacturing factories. One is a main factory which is called a ‘5 star factory’, which complies with all the norms. All the workers get their insurances, work place is well lit and ventilated, and the workers are paid in accordance with law, the whole nine yards. Whenever an investor or official inspects the factory this is factory that is shown. Usually in the same place or somewhere close by there is another factory, which flouts every possible law. The work conditions are pathetic, the wage is very less compared to the minimum prescribed by the law, and workers don’t get any health benefits or insurance. This factory is called the ‘shadow factory’. This shadow factory is not accounted for and so are the workers. The work hours are 12 – 16 hrs a day, 6-7 days a week. And according to reports the output of this factory is more than 10 times the ‘5 Star Factory’. Whenever there is a report of a shadow factory, a crackdown takes place and just to pacify the factory is shut down and then after a few days another one comes up. 70% of companies based in China have shadow factories. It is a gross violation of human rights and business ethics. But in China, work is the religion and people from small villages travel like nomads in search of a better pay, and most of them are employed at these shadow factories. There is a huge workforce ready to work in such conditions without complaining much, and companies are happy with the margins. Next time your ‘made in china’ product fails, it may have come from one of these shadow factories. Amazon launches official India Kindle Store! The Chinese are known for being tough negotiators. Their main purpose in the negotiations are “concessions”. Always have this in mind when formulating their strategy. You must be willing to show compromise and ensure their negotiators feel they have won major concessions. Good article..Why people are working in Shadow factories they too can work and if more profit is there they can give all liablities same to all..Chinese are popular for hard working and creativity. For more than 10years development of China and Chinese products are rapidly touch the sky and usage of Chinese products by the people are also more due to economic conditions in the current situation.If Government thinks they can eradicate within over night but they never do? Apart form the shadow factories and inhuman condition of workers, there's one more reason – China has a factory for EVERYTHING. Check out this NYT piece http://www.nytimes.com/2012/01/22/business/apple-america-and-a-squeezed-middle-class.html?_r=1. A Chinese manufacturer constructed a whole new wing even before they ahd the Apple contract for making iPhone glass screens. Government subsidised it for sure but they were willing to go extra mile to land the contract and they did. Apple was able to hire 8,700 industrial engineers in China in 15 days! Nowhere in the world can you hire 3000 people in a night! //“The entire supply chain is in China now,” said another former high-ranking Apple executive. “You need a thousand rubber gaskets? That’s the factory next door. You need a million screws? That factory is a block away. You need that screw made a little bit different? It will take three hours.” //. That super efficient supply chain is the reason why products are super cheap. The reason Tata Nano is cheapest car in India is because Tata has got all its suppliers to set up their manufacturing units in the same area. It saves cost and time. I believe the recent improvements in Foxconn's working conditions in China deserve a mention in this article. A US-based watchdog thinks they're way ahead of schedule in implementing changes for the workers there. Could other factory owners open their eyes and follow suit? Are they still going to be materialistic, and continue to ignore basic human rights? Things slowly are starting to change but that change wont reflect in the products for a while. Work is still their religion, but there are reports of demand for a higher pay. So the Chinese now actually are bothered by the fact that they were paid peanuts.